Mackenzie Corbett has always dreamed of living in New York City. Now, almost two years into her job as an associate at a premier Manhattan law firm, she's living her fantasy-big salary, high profile deals, cute boyfriend, designer bag on her arm. The giant bags under her eyes from lack of sleep don't fit into the fantasy, though. To make matters worse, she's being tormented by a bitter, bitchy senior associate, her boyfriend is annoyed that she never has time for him, and now she's stuck on the deal from hell with a partner whose biggest claim to fame is throwing a stapler at a cleaning lady because she touched his ficus plant. With the opportunity to secure a prestigious secondment on the line, the overachiever in her is determined to endure whatever it takes to close the biggest deal in the firm's history. But when Mackenzie finds herself the focus of a devastating investigation, her dream job begins spiraling into a nightmare. 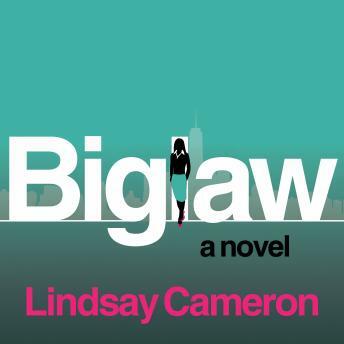 In this pitch perfect, frighteningly accurate novel, Lindsay Cameron throws back the curtain to this intriguing world exposing the truth about life in Biglaw.